Just a quick question. Quite a few on here MOC and some people do incredible work. For example the Legorena is an awesome build and completely original. What made Steve build it? I can name two bits of inspiration. The first was when I bought the Fire Temple cheap and was sorting out the parts. I had no intention of building it as a set. Then I saw the windows and thought I would make a Chinese restuaraunt style modular. The second was at my work flat when I was wandering through to the kitchen for a graze and then looked at the recently built pod racers on my 'Lego table'......clear technic links instantly formed a picture in my head of the flying bus in Superman II for my display at the Lego show. What has inspired you guys to build? LEGO asked the same question in their recent AFOL survey, and I found it hard to answer really. I guess most of my work is inspired by pieces. I'll start by thinking "I want to use this piece" and see what comes. There's also a lot of "I have dozens of this piece. What happens when I stick them all together?" It's less often that I come up with a concept and a vision of how something will look. But a lot of my builds are micro architecture of actual buildings, so the inspiration there is seeing a building that could work well in LEGO - often it is one particular feature that could be represented by a certain piece that sparks me to build. @stagus: Probably 23 years of collecting various bits here and there and using what I had. It was only when I joined Brickish that I knew I wasnt alone out there and although I have loved looking at the train and space layouts, I thought not a lot of people had done a concert venue for the folks of Lego CITY and as it was built and ready to go, I thought why not exhibit? Plus, it was something that always interested me (building big and Metallica). I would see simple Lego buildings, without a back and relatively simple, and think ... that'd look great expanded -- wider, upwards and backwards (and a back put on). Hence, my MOCs thus far have been based on two buildings from Town Plan ... and I am planning to MOC the TH by combining 2 sets and adding pieces I have from PaB. Though I've never got around to ACTUALLY making any big, amazing MOCs yet, it often occurs when I'm reading a book or watching a film or something-just yesterday I was reading The Fellowship Of The Ring (basically because of the Huw's reviews of the new sets), for example, and I thought to myself, "Gosh, I could make an amazing MOC of Tom Bombadil's house...", and I even got as far as planning how I could make the floors and walls look like they were made of flagstones and stuff...and then I thought "That would be really expensive...and it would take tons of time...plus Lego are already making Lord of the Rings stuff". That's what almost always happens with me, unfortunately. But one day. Maybe. But there will not be a Tom Bombadil set as it was never included in the film. Apparently it was felt that a Tom Bombadil scene added little to the plot and would make the film unecessarily long! ^Very true! Perhaps my inspiration will indeed come to fruition! I'll be honest: The House of Tom Bombadil is (and always shall be) the most boring part of the entire trilogy, in my eyes. Everytime I read Lord of the Rings (which I seem to do at least once or twice each year) I have a strong tendency to skip that entire section. ^ Amen to that. That section of the book is ghastly, IMHO... It's just so totally random and irrelevant, you wonder what J. R. R. was thinking. Maybe a dodgy kebab the night before ? Yeeeah! You guys know the score! So you will all be pleased to know that they did film the Tom Bombadil scene and they have another 4 hours of filmed footage. And its been threatened that it will go into the 50th anniversary edition. Although it maybe that Peter Jackson had his tounge firmly in cheek when he threatened that. As for what inspires me. Generally if its for a window display its about talking to the owner about what they want and then going away to try and put what they have told me into action and see what I can make work. And then doing a big back and forth to get it working. For personal pleasure its what are the things that I like and how cool will it be to see it in lego and on my shelf. I like problem solving so trying to work something out in lego is always satisfying and proberbly drives me to MOC more than anything else. Plus I love the slight high after building something. My MOCing skills are rather in their infancy (due to lack of space/organisation and an actual infant!) but I get inspiration both from the sets I buy - the Prince ofr Persia sets certainly provide the fodder for some Middle-Eastern style MOCs, and everyday stuff that I see around - European cities and their architecture, especially Amsterdam, provide some great thoughts for modular buildings! Sci-fi art resources - books like the annual 'Spectrum' collections, 'Art Of ...' film/game production design books, other sci-fi art books; sites like 'Concept Ships', Deviant Art and artist's own sites; etc. My biggest source of inspiration has been seeing other folks brilliant MOCs. Such as this Star Wars one by a 16 yr old, crikeys! Also like diorama MOCs such as new member @LegoLoverman and the beautiful space station corridors and bays on his Flickr. The greebling techniques he used looked awesome on the walls and under-belly of the various ships. There are two ways I've approached MOCs. One is to have an idea for an outcome and then figure out the details of how to make it work. For instance, when I got Hobby Train #10183 I wanted to build large diesel locomotive. I had a particular look I wanted that was based on trains I have seen in real life and not the models in the instructions. The other way is to see an existing set and want to change deficiencies. For instance, when I saw City Harbor #7994 I thought the cabin section was way too small for the size of the hull. In both cases I then went on to try to piece together something from the parts I had. I would build and as I went along kept revising the design until I liked the outcome. Pixar's movies/art books inspire me. For me - it's things that are quite niche that you know will never be popular enough to be mainstream, but you still want to see them enough to consider the build. I've especially been thinking about a 'Secret of Monkey Island' build recently using existing PotC and Pirates parts. I just need to decide what I want to build, plan it, and then buy the parts. I don't want to go the custom route, so I need to find minifig parts close enough to build Guybrush, LeChuck and Elaine at least! I love Modding - often I do a build of a regular set and I think 'I could do this so much better' so I usually finish the build, then either disassemble it and start again or add/ amend. Sometimes it gets carried away! Sometimes I have lots of various ideas which sort of converge - I keep a container with various noodling and ideas, and sometimes a theme starts to develop and they sort of become a single model. -What do you typically do with all your LEGO? 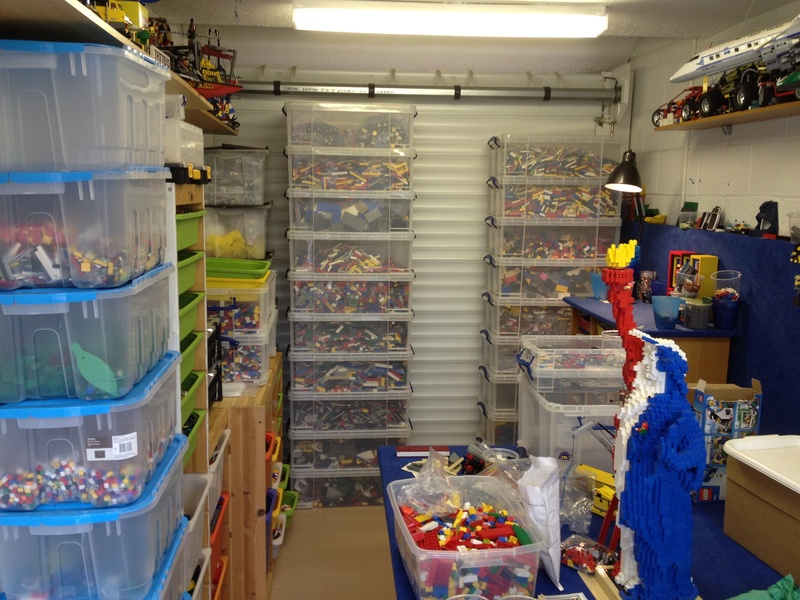 Do you consider yourself a collector or a builder? 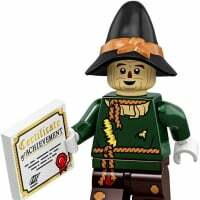 Is there a LEGO builder you look at for inspiration? If you create MOCs, what's your favorite creation? Feel free to post pictures of your best builds. I've always tried to make a MOC here or there but I typically don't have time to complete most of them. I wish I could do more. I have a castle waiting to be built. So I consider myself a collector rather than a builder. A bit of both! :) the Statue of Liberty was built by my wife. How do you find what you need in those boxes! Really liking your wifey's Liberty! @atxlee I sort into type ie 1x xxxxxplates, 2x xxxxxxx plates etc...!rather than size, colour and such. Plus it keeps me fit moving the boxes, guarenteed that the part im after is in one of the lower bixes aswell! but it's the stuff you can't see. Under the liberty there are three bins (garbage cans!) 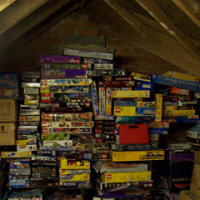 full of two x 2,3,4 etc.....bricks plus about six more storage boxes full of the likes of technic and stuff I don't use that often, then in the other garage, well, we won't go there today! I'm crap at putting up links but my wife is Mrs Wobblehead on Flickr were there are more pics of Liberty. She is made up you like it by the way! @kez that room was specifically built because we ran out of room in the other garage, but as I say, we're not going there today!!!!!! ^Wow it looks extra nice up-close, absolutely stunning in old Glory's colors. This is now on my 'To-do' list for the new year (along with your wife's fantastic GB Olympic display from months ago). @BrickDancer she was gobsmacked that someone on E-bay copied her design for the team GB case and was selling it got £75 or £100 with figures! But she has loved all the comments, thanks guys. I'm a collector, but the only items I still have sealed are simply the ones I haven't gotten around to building yet. I'll display them for a while then they go into bags. Every once in a while I'll rotate. I'm a collector, but I'm looking forward to becoming a builder as well! I lived in a really small apartment for two years, and I simply didn't have the room to build and display. Almost all of my Lego sets have been in storage. In january I'm moving to a larger place = finally some room for my collection! Not as much as some of you here might have, but still much better than having all of it in storage..